Usage useful for farmer like Fodder with yield, Resitance to blight disease. Ready to harvest within 95-110 days. 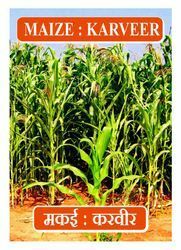 Looking for Maize Seed-Karveer ?